Teaser- Not so formal anymore! Take the cab. 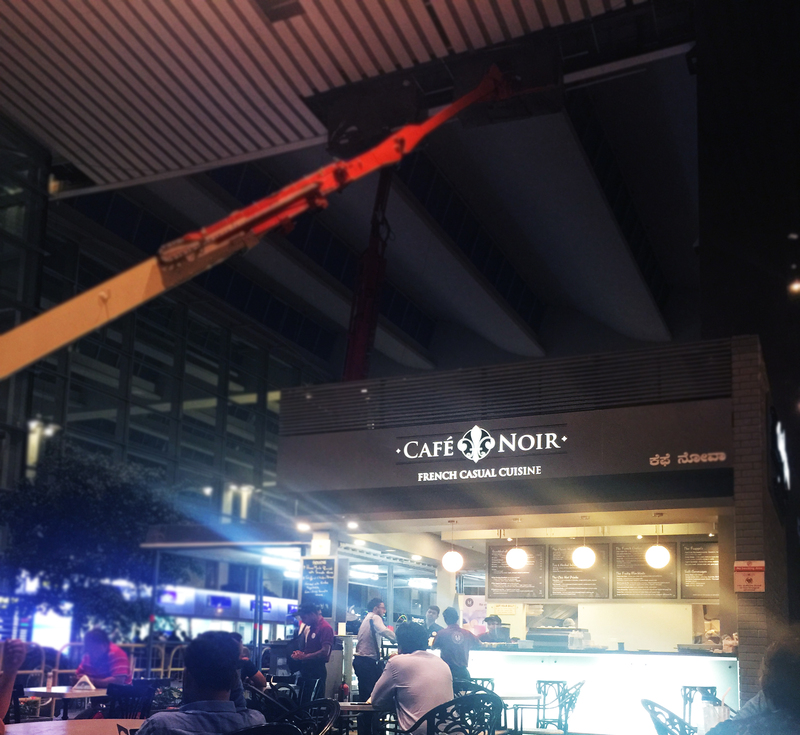 Eat at your favorite cafe while you edit your next post. Hop on the flight. Watch a stupid movie called The Hot Pursuit. Edit some more. Reach airport and then finally home. After finishing my spa session at Marriot (thanks to Richa and Sutirth for that pampering birthday gift), I thought I shall give some time to the next post which I am eagerly waiting to go live. But thanks to the amazing Bangalore traffic, I had to take the cab for airport three and half hour before the departure time. After taking a nap in the cab for a good hour, I finally reached. Ordered my favorite sandwich and frappe and started working on the post. 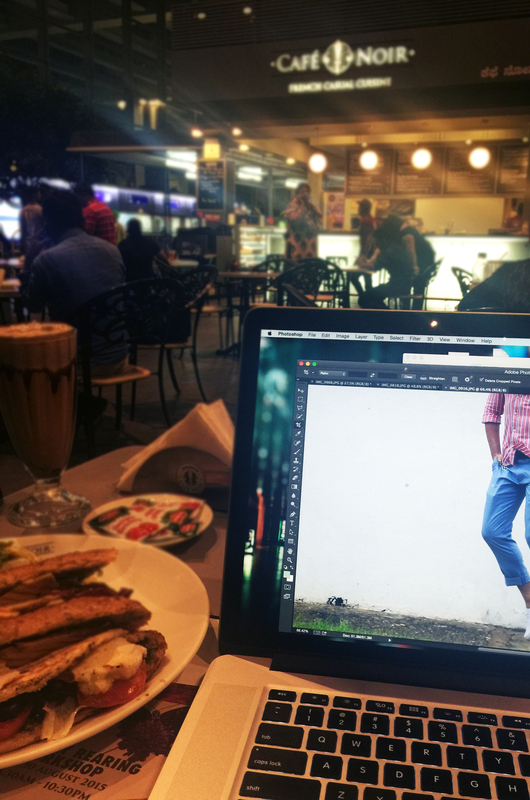 And while I sat there, writing about my interesting formal pants, I clicked some, using the cafe as my background while I munch on the yummy things and photoshopping the favorite image from the shoot on my macbook. And when I was half done, it was time to board. 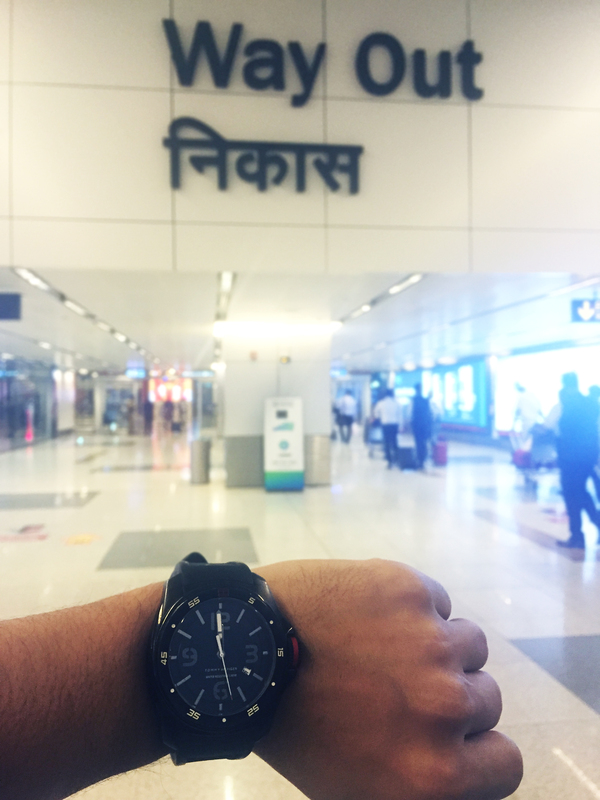 Reached at exact scheduled time at New Delhi Terminal 3 (surprisingly). Got my luggage the moment I am out (thanks to the fragile sticker- little joys of life :)). Finally left the airport at sharp 12 to reach home. Chit chat with mom, dad and sis while i munch a little more, the best thing in the world- “mom made food” <3.